Despite creative team comments, HBO remained resilient, issuing public statements asking for more episodes, and labeling our DVRs’ Chapter 21 “Season Finale”, instead of “Series Finale”. So it isn’t a huge shocker that Eastbound & Down is returning — just how fast it came back. The creative team are all best friends, who have a great time working on the project, but they had been grinding away at “Kenny Powers” for almost 2 years straight. We figured they would come up with something down the road, once they were not so burned out telling the tales of Colonel Kenneth J. Powers. What is the plot to season 4? We have no clue. Season 3, the supposed finale, ended with Kenny Powers walking off the mound from his successful comeback, and faking his own death to be with April and Toby. How long will Kenny Powers remain “dead” for? How many children did Stevie Janowski father last season? What will Kenny Powers do for a living? Will Kenny and April’s relationship finally work? Do they skip ahead, and Kenny is coaching Toby in Little League? We are posting brief summaries of any news, articles, and interviews related to the production of Eastbound & Down Season 4 right here. Keep checking back for updates as we find them. We will also post updates to our Tumblr, Facebook, Google+, or Twitter accounts. August 2013 Update 2: Entertainment news outlets recently published stories about Lindsay Lohan’s involvement in Eastbound & Down Season 4. Learning actors have joined a show is typically spoiler free, but Lindsay’s hiring is an exception to that rule. We feel obligated to post her casting news, but details surrounding her small role ruin season 4 on several levels. If you enjoy spoilers, click here and here for details. July 2013 Update 2: Per The Hollywood Reporter, actor Omar Dorsey has been cast to play a loudmouth, obnoxious sports talk show host named Dontel Benjamin. He is the second "ex-athlete" character to be cast, so its a safe bet the “Sports Sesh” show will follow a sports roundtable format, hosted by retired athletes. Which of course begs the question, will Kenny Powers be a host as well, or just a topic? July 2013 Update 1: A few weeks back we reported Ken Marino joining the show, which Deadline has recently confirmed. We thought his character Guy Young was a sports show host, but Cinemablend describes him as a middle-aged athlete who likes to party. That works too, but nonetheless, we are predicting an enemy here. Tim Heidecker has also been cast as Gene, Kenny Powers’ straight-laced neighbor, who lacks a sense of humor. And you know if Stevie visits, he will try to f*ck with him to impress Kenny. June 2013 Update 2: Season 4 filming has begun in Wilmington. 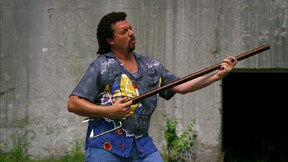 A Kenny Powers drag racing scene was shot near the airport, as well as more scenes at Cameron Art Museum. Based on this picture, it appears that Ken Marino of Party Down and Burning Love fame has joined the cast. His style of comedy will be a perfect addition to the show, and it looks like his character is the host of a sports news magazine called “Sports Sesh”. 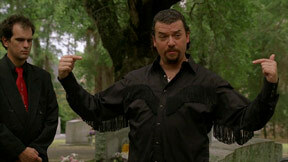 Does he uncover the truth about Kenny Powers’ death, or does Kenny use the show to make himself relevant again? June 2013 Update 1: HBO just announced the Eastbound & Down Season 4 premiere date — September 29, 2013 at 10:30PM. Earlier in the week, Danny McBride revealed the final season picks up several years later, not immediately following last season, as previously reported when the new season was first announced. May 2013 Update 2: Filming of season 4 will now begin June 10-14. Currently the creative team is scouting extras for a variety of roles: hot girls in a nightclub, baby doctor, a priest, and lastly truck drivers, which are the most interesting role in the list. Just a theory — if Kenny Powers wanted to earn a living for his family, and continue to remain hidden from the public eye, that profession definitely meets those requirements. 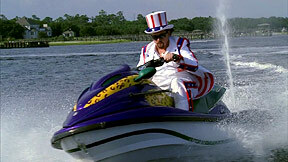 May 2013 Update: According to the WilmOnFilm blog Eastbound & Down will be shot on location in Wilmington and Myrtle Beach from May 27, until August. If you live in the Wilmington area, they are casting background actors and stand-ins. No word yet on Myrtle Beach casting. 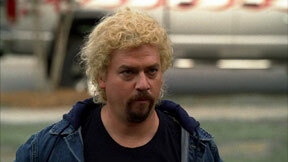 March 2013 Update: Not much happening on the Kenny Powers season 4 front. Earlier this month, Star News confirmed filming will happen during springtime in Wilmington, NC. The Wilmington area doubles as Kenny’s hometown of Shelby, but this does not rule out a return to Myrtle for the upcoming season either. 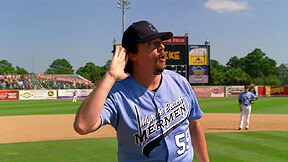 February 2013 Update: Many fans have been speculating on Kenny Powers' involvement with sports in season 4, but we don’t think that will happen. Instead, the plot will shift to Kenny struggling with his decision to make himself average, and how he will overcome that. Just like Superman giving up his powers (no pun intended) in Superman II, Kenny instantly lost all his notoriety by faking his own death. Kenny Powers’ ego thrives on being famous, and it will start to tear him apart inside, not having that recognition in his life. January 2013 Update: Have you guys seen the HBO commercial for 2013 programming? Eastbound & Down is included in their clip, but when will it air? Our source close to the show has confirmed filming begins in May 2013. From there, we assume Kenny Powers returns to TV in August-September. December 2012 Update: We have nothing new to report. No news, no recent interviews, no announcements from the creative team, and nothing new from HBO. November 2012 Update: A few months ago we reported it might be a while before the creative team had free time for season 4, but it appears the creators are making significant progress on their open projects. Danny McBride is finishing his last 2 scheduled movies, while David Gordon Green directs Joe (Hill and McBride producing). With their workloads winding down, look for the creative team to begin writing the 4th season in early 2013. Filming in the summer, perhaps? October 2012 Update: Dan Lewis from Whatculture makes a case for why Eastbound & Down Season 4 is a bad idea. Although we share some of his concerns, Kenny Powers did once say excuse him for “givin’ the fans what they’re askin‘ for.” All of Dan’s points are valid, and could end up being proven true. But one obstacle Kenny Powers will most likely have to overcome is his non-public, boring life, and if he has to seek employment outside of baseball, it will be very entertaining. Just imagine Kenny Powers doing customer service. September 2012 Update: Be prepared for a significant delay in Kenny Powers’ return to your TV. The creative team behind the show is booked working on other projects for the foreseeable future. Hill and McBride are producing David Gordon Green’s directorial project “Joe”. Meanwhile, KP himself is busy acting in “Clear History” for HBO, followed by “As I Lay Dying”. 1. 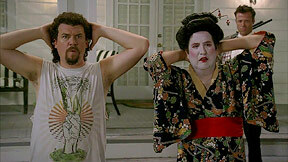 The hunger for more Kenny Powers by both HBO, and the fans, made another season possible. 2. Their goal was always to get “Kenny to April's doorstep”, after quitting baseball, and they achieved that goal. 3. Season 3 was supposed to be about Kenny and April's home life after his return from Mexico, but Katy Mixon’s schedule (Mike and Molly?) did not make her accessible enough. Hence, season 3 as we know it. 4. HBO is now working with Katy’s schedule to accommodate their needs. 5. This epilogue will concentrate on April and Kenny, and what it’s like for “Kenny Powers to finally get what he always wanted.” Which is more April Big-cannons. July 2012 Update 1: In a surprise announcement, HBO announced there will be a fourth season of Eastbound & Down. You can read various articles, including these by Variety and THR. We liked this Collider piece alot, cause they make some good points that we agree with it. There is no return date set, or any news when filming will begin.